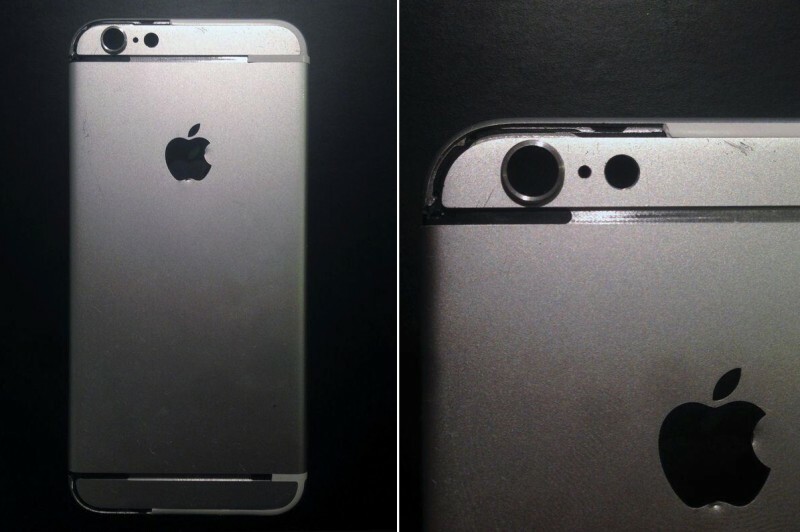 More photos said to be of the iPhone 6's rear shell have been shared by frequent iOS device part leaker Sonny Dickson. The part shown in the photos also appears identical to the rear shell shared by luxury modified iPhone vendor Feld & Volk, hinting that this may be a legitimate component. Similar to previous leaks, this newest rear shell shows a number of physical features including a near-all metal design with upper and lower bezels, a cutout for the new round "True Tone" dual-LED flash, and a cutout for the rear camera that may hint at a protruding lens for the device. Apple is expected to reveal the iPhone 6 at an event on September 9, with a launch likely coming one week after the announcement. It is possible that the company will release the 4.7-inch version of the iPhone 6 first, with the 5.5-inch version seeing a launch later this year or early next year as Apple solves production issues with the larger device. In addition to a bigger screen, both versions of the iPhone 6 will likely incorporate a faster A8 processor, an improved camera with stabilization, and iOS 8. Every time someone says "antenna bands" or "camera protrudes" a kitten dies. Oh look, there goes another one. Dear Apple, please fill those seams with same-color-as-shell liquid metal. If the camera is much, much better then I will happily take the protrusion. No way in a million years can I see Apple make anything look this nasty and horrid. Let's say for a moment it was a magnetic area for addition lenses to line up and stick onto. You would made a circular magnetic recess around the camera lens, not something that stick out so that the iPhone rocks side to side when you place it on a flat surface. The shiny Apple logo looks amazingly super cheap and nasty, like some chrome plated child's toy. Simply put it looks a cheap, nasty early mock-up to test out some ideas. The final version will look way way better than this. It MUST do. White bands look like placeholders. I hope there will not be any protruding part near the camera... it would be awful! Sonny Dickson? Wasn't he the one who previously leaked stuff that we later found out was fake and based on digital renders by Martin Hajek? Last year Dickson tweeted that the iPad mini would have Touch ID and would come in space gray, silver and gold. He was even hawking photos of an alleged gold iPad with Touch ID. He also claimed the larger iPad would have 2GB RAM. So his sources are sometimes questionable.